Aim and Objectives: The aim is to know the augmented new bone formation in postsurgical bony defects in the maxillofacial region when filled with plasma-enriched demineralized freeze-dried bone allograft (DFDBA). Materials and Methods: The study group included 45 patients, selected randomly, and divided in three equated groups. In Group I (control) patients, the wound was closed primarily without incorporating any graft in the bony defect. In Group II, the defect was filled with DFDBA alone and in Group III with DFDBA enriched with platelet-rich plasma (PRP). The said graft material was procured from the (to be discarded) femur head, treated to get rid of its antigenicity, made suitable to be incorporated as a graft material, sterilized by gamma irradiation and then implanted into the jaw defects. Results: The results were evaluated and interpreted both clinically and radiographically by studying the changes post 1 week, 1 month, 3 months, and 6 months, respectively. Bone density was evaluated using computed tomography scan in addition to standard conventional radiographs. Evidence of trabecular formation and calcification were noted down. Measurements were recorded by taking note of Hounsfield units. Statistically, one-way ANOVA test followed by least significant difference post hoc test was done. 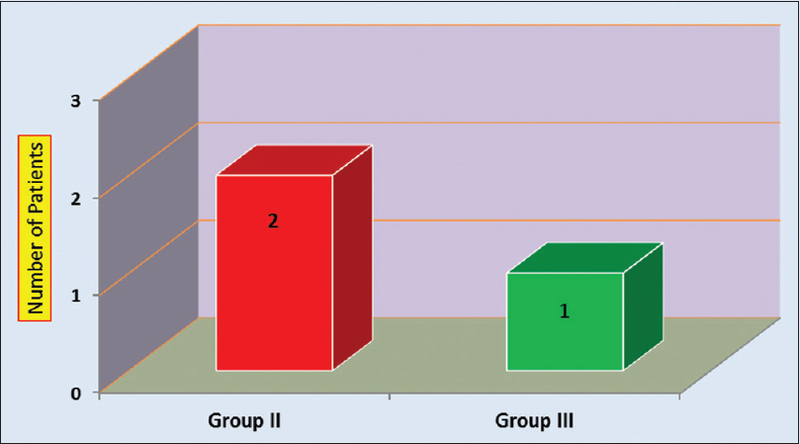 Final results showed that the patients in the Group III had more bone density at the grafted site when compared to the Group II and I patients. These findings were significant. 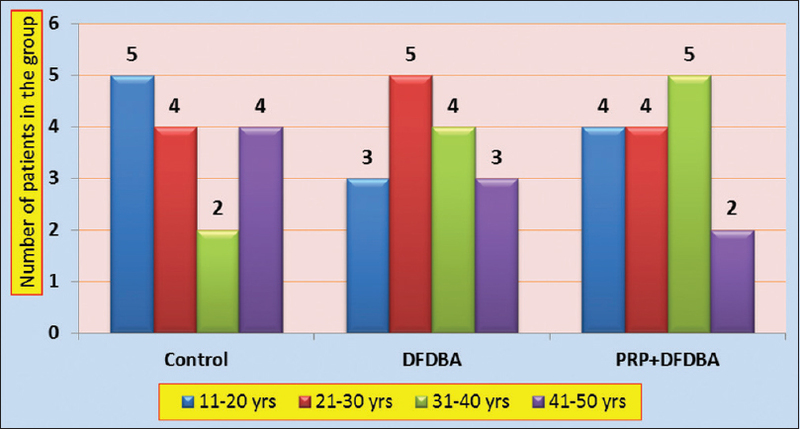 Conclusion: PRP-enriched DFDBA is a superior grafting material in terms of other grafting materials available. It possesses both osteoconductive and osteoinductive properties and elicits the least immunological response, thereby making it one of the best effective combinations of grafting material to be used in oral and maxillofacial reconstructive purposes. Bone is very important for the structural integrity of the body. 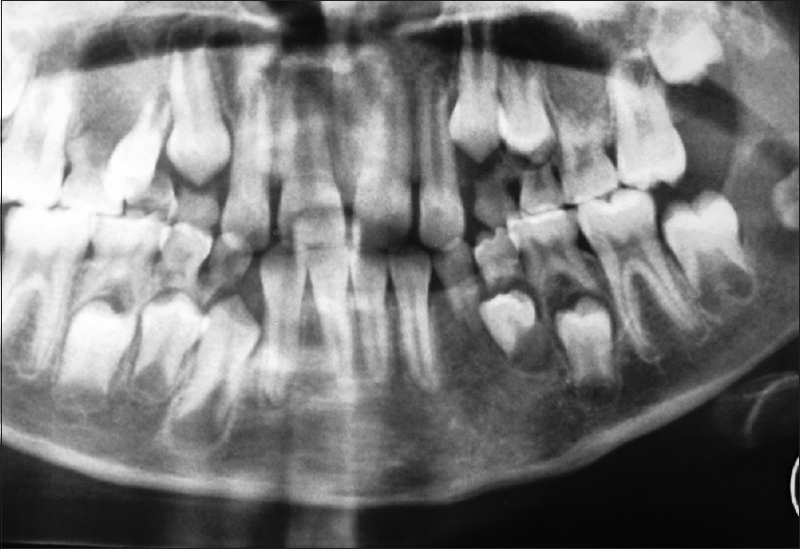 Loss of bone results in residual defects or deformities causing compromised esthetics and function. The search for an ideal bone substitute has been actively pursued for over 20 years. The last few decades have seen extensive research to understand the mechanism of bone regeneration and graft incorporation. Bone grafting is possible because bone tissue unlike most others has the ability to regenerate completely if provided the space into which to grow. As the native bone grows, it will generally replace the graft material completely, resulting in a fully integrated region of new bone. Search has been going on for other sources of bone stimulating materials with optimal osteogenesis so as to substitute autogenous grafts. Autogenous bone, considered as the gold standard in graft materials, is associated with disadvantages such as donor-site morbidity, need for a second surgical site, possible hospitalization, and a limited amount of graft material availability. This has spurred the development of allografts as an alternative source of graft material. Allografts, which may be cortical or trabecular, have an advantage of being osteoconductive and possibly osteoinductive. Freeze-dried bone allograft (FDBA) was first used in periodontal therapy in the early 1970s. FDBA, which is not demineralized, works primarily through osteoconduction; a process in which the graft does not activate bone growth but instead acts like a scaffold for the patient's own natural bone to grow onto and within. Overtime, the graft resorbs and gets replaced by new bone (creeping substitution). FDBA has been successfully used in various reconstructive procedures. In the last few decades, demineralized freeze-dried bone allograft (DFDBA), which has been shown to be both osteoconductive and osteoinductive, has been used alone or in combination with other treatment modalities. A recent innovation to enhance the regenerative properties is platelet-rich plasma (PRP), which is a concentration of platelets and growth factors found in platelets such as platelet-derived growth factor, transforming growth factor-beta, and insulin-like growth factor-I. These polypeptide growth factors as well as other bioactive substances are released from the platelets upon activation, which play a pivotal role in initiating and sustaining wound healing and tissue repair mechanism. In general, approximately 60%–65% defect fill is expected after the use of a bone grafting material. PRP when applied to bone graft leads to earlier bone regeneration, enhanced soft-tissue healing as well as a greater density of mature trabecular bone. The purpose of this study was to evaluate the clinical usefulness of DFDBA enriched with PRP when compared to DFDBA alone and control cases, in enhancing the bone-healing capacity in various intrabony jaw defects. The study sample was derived from the population of patients who reported to the Department of Oral and Maxillofacial Surgery at SCB. Dental College and Hospital, Cuttack, and met the required criteria. A total of 45 patients between the ages ranging from 10 to 50 years with equal male and female distribution were selected for the study. The inclusion criteria of the participants were male and females in between 10 years and 50 years of age with positive findings and patients in good general health as documented by self-assessment who presented with required categorized infrabony defects in the maxillofacial region as defined by standard conventional X-rays and would stay committed toward follow-up for the entire duration of the study. Written informed consents were obtained from the participants while the Institutional Ethics Committee approved the study to be carried out. Both the donors and the recipients were subjected to serologic tests to rule out HIV, hepatitis B, hepatitis C, and other possible transmissible pathogens. The study sample was divided into three nonbiased groups. In Group I patients, the wound was closed primarily without any graft in the bony defect. In Group II, the defect was filled with DFDBA and in Group III with DFDBA enriched with PRP. The actual duration of the study was 2 years with follow-up extending further. All the three groups were under clinical and radiographical evaluation at 1 week, 1 month, 3 months, and 6 months respectively. Certain patients were lost to follow-up owing to unknown reasons. They were excluded from the study. The acceptance and rejection of grafts in the patients who followed up regularly were studied for the evidence of new bone formation along the defect margins in all the three respective groups. 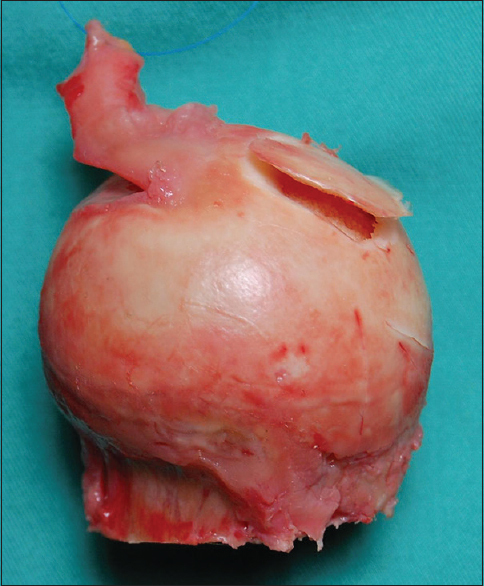 The source of the graft material was the excised femur head [Figure 1], which was procured from the healthy patients undergoing total hip replacement surgeries in the Department of Orthopedics. The femur head was retrieved using full aseptic conditions. Contamination, if any, was assessed by bioculture tests. The obtained sample was cleaned using copious amount of medical grade distilled water. The femur head was stored in sterile impervious bags at a temperature of −20°C. 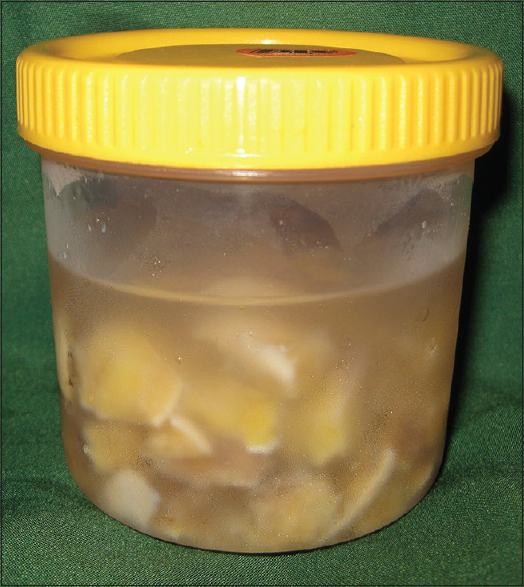 After obtaining negative culture reports, in a sterile environment under hygienic conditions, the femur head was cut into small pieces up to size 02 mm2 [Figure 2]. Demineralization was achieved using 3% hydrochloric acid (HCl) solution kept for 24 h. It was washed thoroughly in the medical grade distilled water to remove the acid content. Fat was removed using 70% ethyl alcohol [Figure 3]. Defatting was done for 48 h. Again, it was cleaned with distilled water. 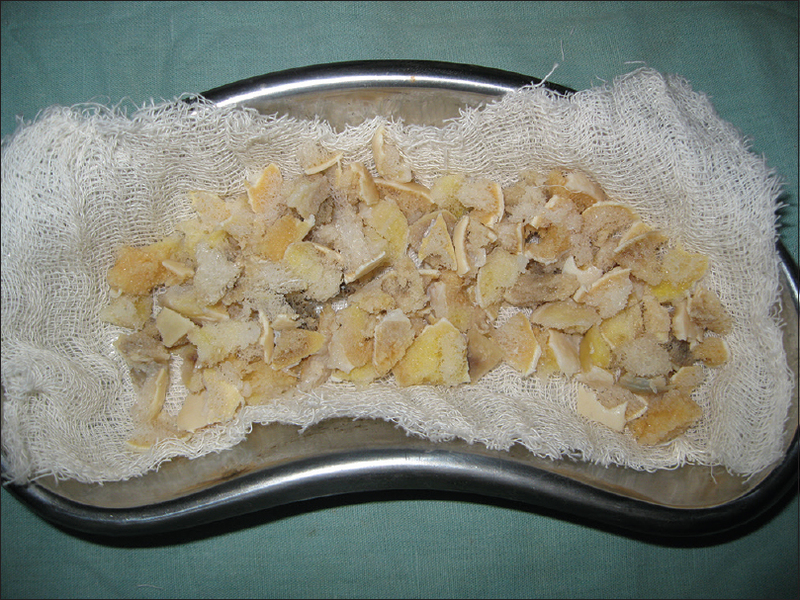 The graft was then freeze-dried [Figure 4] and [Figure 5] and then packed using sterile, multilayered impervious sheets. 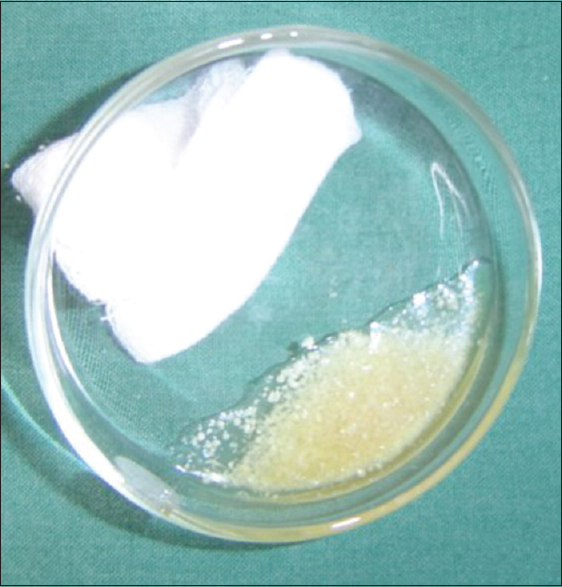 The packaged graft material was subjected to terminal sterilization using 25 kGy gamma irradiations. 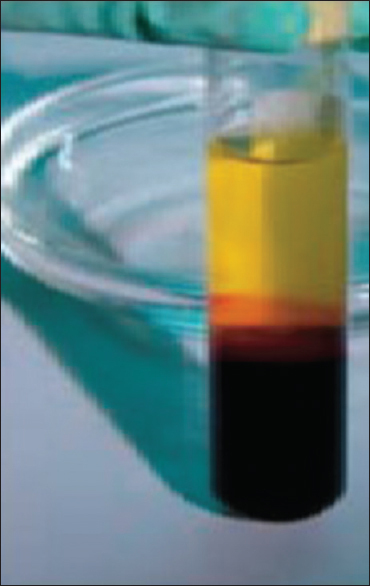 Autologous blood, about 16 mL to harvest PRP, was obtained just before the surgical procedure [Figure 6]. The whole blood collected aseptically and mixed with CPDA (4 ml each) was centrifuged to get the supernatant PRP. The sample tube was then spun in the single-spin centrifuge for 10 min at 2400 rpm to produce platelet-poor plasma (PPP) [Figure 7]. The PPP was taken up in a syringe with a long cannula. A second centrifugation was performed at 3600 rpm for 15 min to concentrate the platelets. The second supernatant was also taken up by the long cannula. For each 8 mL of blood, the volume of supernatant was about 0.6–0.7 mL, which was the PRP to be used for the surgical procedure [Figure 8]. Before the surgery, the patient's autologous blood was collected to get the PRP. Routine preoperative antibiotics were administered. The surgical site was prepared using Savlon and Povidone-Iodine solution I. P. (Microshield®). The region was anaesthetized using 2% Xylocaine® with adrenaline (1:200,000). 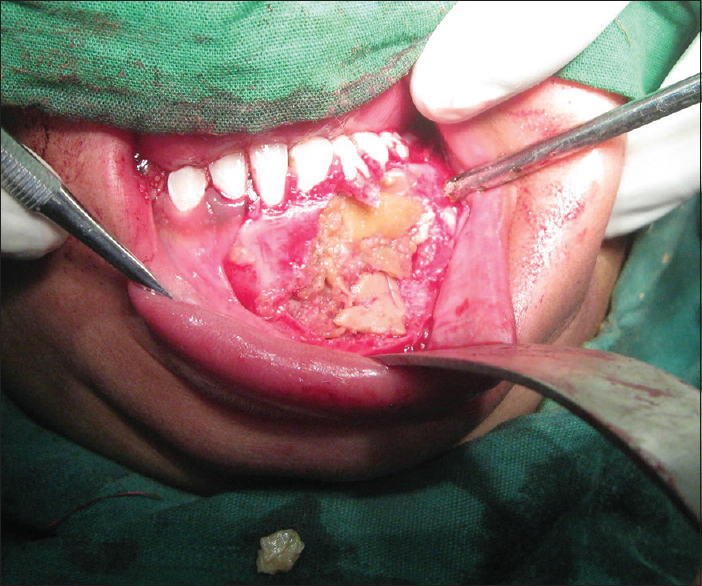 Full-thickness mucoperiosteal flap was elevated. The pathologic lesion was curetted out thoroughly and healthy bone margins were reached [Figure 9]. If teeth were involved, biomechanical preparation and obturation with gutta-percha was done. In Group I, the bony defect was simply closed primarily. In Group II, the bony defect was filled with DFDBA and in Group III with DFDBA enriched with PRP [Figure 10] and [Figure 11]. Wound closure was done appropriately and antibiotics and analgesics as needed were prescribed for the postoperative period. The patients were observed thoroughly for the postoperative results. Both soft-tissue measurements and hard tissue measurements were done at baseline, after 1 month, 3 months, and 6 months as appropriate. Assessment of pain, swelling, fever, and wound dehiscence was done. Standardized radiographic examination and computed tomography (CT) scans (Hounsfield units [HUs]) were carried out preoperatively and 1 month, 3 months, and 6 months postoperatively [Figure 12] and [Figure 13]. The preoperative image of each defect was used as the reference. The data obtained at the end period of this study, both parametric and nonparametric, were evaluated using SPSS Inc. Released 2007. SPSS for Windows, Version 16.0. Chicago, SPSS Inc. All the data were tabulated and appropriate statistical methods applied. Mean was calculated for the clinical parameters in each treatment group. The 3-month and 6-month values were compared to the baseline values to determine the changes that occurred over time. The Student's t-test and one-way ANOVA test followed by least significant difference (LSD) post hoc tests were utilized to evaluate the differences between groups. Clinical data correlation was done with the Pearson's Chi-square test. The level of significance for analysis was set at 95% confidence interval. The total sample size was 45 patients with each group comprising 15 patients [Figure 14]. A few patients were lost to follow-up and were excluded from the study. Equal group distribution was done to get an unbiased result. The Pearson's Chi-square test carried out to assess the pain scores revealed that there was significant improvement in the scores achieved from the 1st day to the end of the 1st month (P < 0.001). The level of pain perception in all was mild to moderate. None of the patients reported about severe pain. Bone density was evaluated using CT scan. The measurements were recorded for the cases at preoperative and 3rd month and 6 months postoperatively by taking note of HUs. One-way ANOVA test followed by LSD post hoc test was done for the findings recorded. It was found that preoperatively, there were no significant differences between the Groups I, II, and III regarding the level of bone density. When the results for bone density at the 3rd-month postoperative period were tallied, there was more bone density in the Group II patients than was in Group I patients. However, the bone density in Group III patients was still more than the Group II and III patients which were quite significant (P < 0.001). Results evaluated at 6-month postoperative period showed that the patients in the Group III had more bone density at the grafted site as compared to the Group I and II patients. These findings were significant. The patients in Group II had more bone density after 6 months postoperative than the Group I patients. These findings suggested that using PRP along with DFDBA indeed has more benefits than using DFDBA alone in terms of healing capacities as well as the degree of bone maturation. Autografts remain gold standard for bone grafting because of their immediate availability and high success rate. What restricts its use primarily is limited availability and the donor-site morbidity. Various sources of autogenous bone graft are calvarium, rib, iliac crest, and fibula. Schaaf et al. (2010) in their study observed that various complications associated with autogenous graft harvesting were fracture of the anterior superior iliac spine (0.7%), persistent pain (4%), and persistent sensory disturbance (2.7%). Women showed greater severity of pain after graft harvesting. With such morbidity factors, search for better allografts with increased patient acceptance and improved healing properties remains a daunting task for reconstructive surgeons. In 1965, Urist showed that acid-decalcified bones obtained from animals were able to form new bone through the process of osteoinduction., On the basis of those investigational findings, increased uses of allografts have been seen in the form of demineralized bone allografts and DFDBAs. Nondemineralized allografts show neither osteoconductivity nor osteoinductivity. Senn in 1889 had shown that decalcified Oxen bones can be used to treat bony defects. Since then, many researchers have showed that demineralized bone matrix can be used as an alternative to autografts, where possible. PRP was introduced to surgical field by Marx et al. in 1998. PRP, an autologous concentrate of platelets, contains various intrinsic growth factors intended for regeneration of hard and soft tissue. All these growth factors are derived from platelets. PRP when used on surgical wounds or added to grafts provides growth factors to support and accelerate healing. The PRP provides approximately a 2.16 times increase in the maturation rate with a considerable greater density of the final bone graft product. Soft-tissue healing is also improved due to increased collagen content, promotion of angiogenesis, and increased early wound strength. Growth factors present also regulate cellular processes such as mitogenesis, chemotaxis, and cell differentiation. PRP when added to DFDBA increases the allograft's capacity to regenerate bone and produces results similar to autogenous bone grafts. Various studies have verified that PRP when combined with autogenous bone results in considerably faster radiographic maturation and histomorphometrically denser bone regeneration. On the other hand, varying results of success have been documented when PRP is added to allografts such as FDBA and DFDBA. Pain is a definitive postsurgical morbidity. The postsurgical pain begins when the effects of the anesthesia subside. Seymour et al. said that the postoperative pain reaches its maximum intensity during the first 12 h. In most of our cases, we noticed a moderate intensity of pain during the first 24 h of the postoperative period. Most of them saw a progressive decrease in the intensity of the pain. 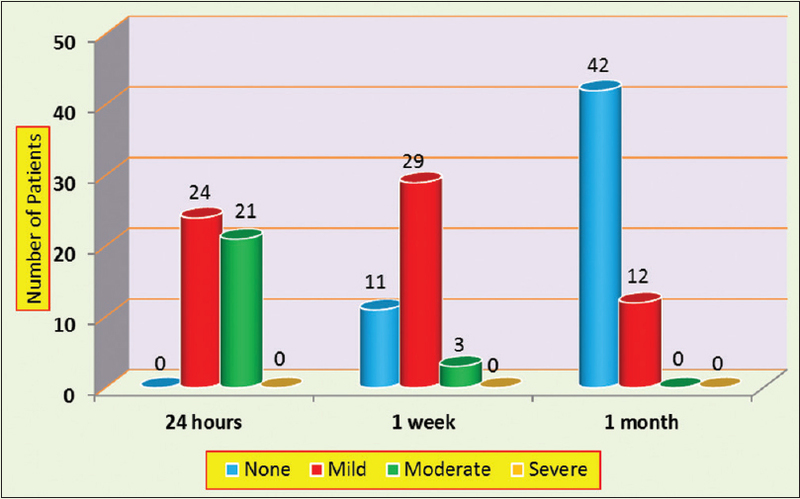 By the end of the 1st month, there was not any pain in 73% of the patients. Rest exhibited mild pain. None reported severe pain at any duration of the study [Figure 15]. The improvement in pain perception during the subsequent period of time as noticed in the group treated with PRP + DFDBA was significant as evaluated by Chi-square test (P < 0.001) [Table 1]. Luengo Gimeno et al. 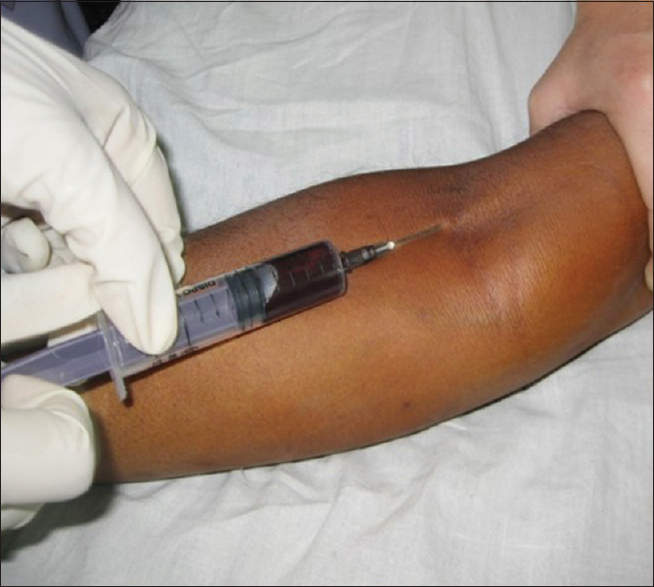 attributed increased healing of wounds and surgical sites and less postsurgical pain to the use of PRP. Furthermore, since the graft material was an allograft, the patient compliance in terms of pain was better. If an autograft would have been used instead, harvesting the autologous bone requiring an additional surgery would have caused increased morbidity in terms of pain perception. Gibson et al. had stated that in the autograft group, there was significant incidence of donor-site pain persisting in about 16% of their patients. Thus, allografts in such a situation are more useful. Demineralization of the allogeneic bone graft removes and lessens the inorganic content in the graft. This is important in minimizing the immune response of the host toward the graft resulting in better acceptance of the graft. This may also aid in decreased inflammation and hence decreased pain perception. Demineralization also helps in gradual replacement of the graft by the new bone. Postsurgical edema or swelling is an expected sequela of surgical procedures. By the end of the 1st week, about 11% had moderate, 64% had mild, and the rest 25% had no swelling at all. The swelling usually reaches its peak by the end of the 2nd postoperative day and is usually resolved by the 5th–7th day. The intensity of swelling was most during the 2nd–3rd postoperative day which then subsided gradually [Figure 16] and [Table 2]. We did not notice any untoward incident postgraft placement. These findings are significant regarding the immunogenicity of the allogeneic bone graft. FDBA may be regarded as lacking clinically significant antigenicity. These allografts failed to sensitize the patients and were least antigenic of all. These grafts have been judged to be clinically successful with no adverse tissue reactions. Postoperative rise in temperature (calor) is a normal sequela after surgical insult. At times, fever could be a parameter to indicate secondary infection. In our study, we found that there was no significant rise in body temperature, thereby not signaling toward infection. After placement of the graft in the host bed, it is of prime importance that the graft material is protected adequately from the surrounding local factors which may jeopardize the host-graft integration. The oral cavity serves as an excellent environment for micro-organisms which if allowed to integrate with the implant may delay uptake by the host. This necessitates an adequate tissue coverage of the implant so that it stays protected. Graft exposure in our treatment groups was found in two patients in DFDBA group and one patient in PRP + DFDBA group [Figure 17]. This could have resulted from secondary infection at the graft site which would have been due to lack of patient co-operation in the follow-up period. Other causes could be poor oral hygiene, failure to abide by the postoperative instructions, etc. The graft could not have been contained in the recipient bed and failed to have accepted by the host. The graft would have induced an antigen–antibody response in the host. The local defenses would have been favorable for a microbial population to reach the graft site through the bloodstream. The graft may show no defense against the microbial population. The graft now becomes more prone to infections and if severe may be eliminated by the host defenses. Milder infections can be treated with suitable antibiotics. In our three cases, in spite of institution of empirical antibiotic therapy postculture sensitivity test, the three cases did not show improvement, and at the end of 8–10 weeks, the grafts were found to be rejected. Lord et al. had reported an incidence of 11.7% in their cases who developed infection. They also found that in cases of secondary infection, Gram-positive organisms were the most common cause of infection with 36% being due to Staphylococcus epidermidis. Tomford et al. had stated that allografts were not primarily responsible for infections in most of the cases. The infection rates when utilizing allografts were similar to those when utilizing the autogenous grafts. The culture test from one case reported infection with Staphylococcus aureus, while in the others, there was no growth which might be due to use of empirical antibiotics. Radiation as a cause of rejection could have been also a factor but was ruled out as the rest of patients treated by the graft material from the same batch sterilized by gamma radiation would have turned toward failure. We did not notice any major infections in any patient in our study group. We had our implant material sterilized with 25 kGy gamma irradiation. Fideler et al. had said that HIV virus can be effectively inactivated at 25,000 Gray of gamma radiation. Conrad et al. stated that 17,000 Gray of gamma radiation would inactivate the hepatitis C virus in the tissue. Postradiation with 25,000 Gray, these prove safe to be used as grafts. Mellonig et al. 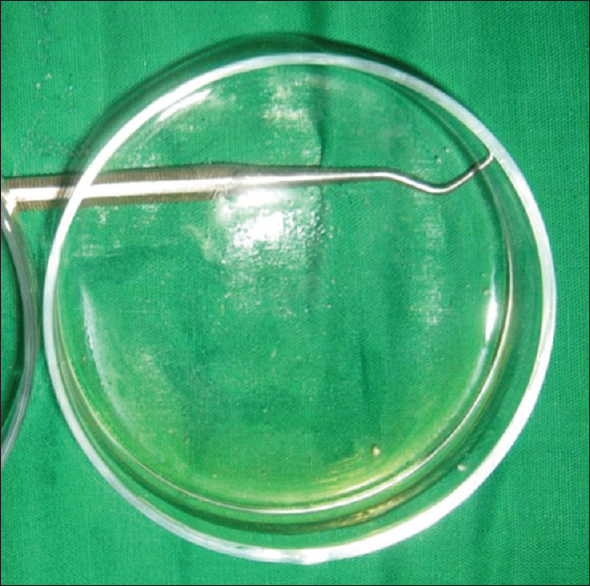 stated that even if an HIV-infected donor could escape detection by the various available exclusionary techniques, processing the bone with a virucidal agent such as ethanol or HCl will render the bone allograft safe for human implantation. We had used the implant material for filling the intrabony jaw defects. As such, we did not have any requirement of significant mechanical properties. Minimum tensile and compressive properties are expected of those grafts which are to become a part at major load-bearing areas. Guo et al. said in their experimental studies that reasonable mechanical strength is retained when mineralization is reduced by <80%. The loss of strength caused by demineralization is greater for resistance to bending than for resistance to compression. Partial de-mineralization to give a bone mineral content in between 23% and 40% of normal will provide an allograft with reasonable mechanical strength and normal potential for osteoinduction. Our graft material was also demineralized according to the prescribed methods so as to retain their maximum osteoinduction properties. Anderson et al. suggested that compressive failure, stress, and elastic modulus did not decrease significantly when the accepted dose for sterilization, i.e., 25,000 Gray (2.5 Megarad) was used. Various studies done in the recent past to evaluate the bone density at the grafted site show the acceptance of the graft by the host. Radiographs have remained a popular choice in the past to evaluate the bone density, but it may not quantify. Other methods suitable to evaluate the bone density are dual-energy X-ray absorptiometry (DEXA), quantitative CT (QCT), qualitative ultrasound (QUS), single-photon absorptiometry, dual-photon absorptiometry, and digital X-ray radiogrammetry. DEXA, a highly specific test, is limited due to its cost factor and availability. Ultrasonography (USG) is a more cost-effective method. 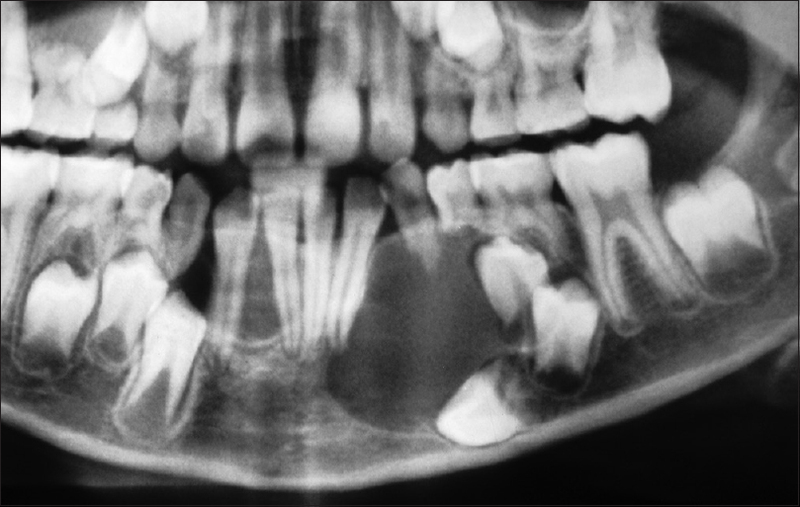 Radiographs were used to evaluate the evidence for calcification and trabecular formation. We found that there was marked evidence of trabecular formation by the postoperative 3rd month onward [Figure 18]. This was more in the third group (PRP + DFDBA) patients. Tuli et al. in their case study reported that there was evidence of bone formation in between the 3rd and 6th week. This bone gradually matures. By 4–8 weeks' time, there is evidence of calcification. Fourth week onward, there is a gradual replacement of the implant by the cartilage and then bone. This is approximately 30% of the volume of the implant. This has been termed as “creeping substitution.” Urist (1967) said that this process of osteoconduction occurs over a period of weeks to months and is seen as an increasing trabecular pattern on the radiographs. With the invention of the first commercially viable CT scanner by Sir Godfrey Hounsfield, medical imaging has never been the same. CT has revolutionized the analysis of bone and is a great help in the treatment planning. With a single scan and using a low dose of radiation, images of both bone and soft tissues are analyzed. Effective dose of irradiation for CT scan is between 6 and 477 μSv, which is quite reasonable. We used QCT scan to measure the bone density. Measurements were recorded using HUs which is a quantitative scale for describing the radiodensity. The density of bone on CT images was analyzed on axial scans. Due to cost factor, only the on-screen analysis was done. The measurement for bone density was recorded in HU for each patient at preoperative period before the commencement of treatment, after 3 months, and then at 6-month postoperative period [Table 3]. In the preoperative assessment, the jaw defects in all the three groups of patients did not reveal any significant difference. The mean ± standard deviation (SD) for Groups I, II, and III was 211.47 ± 12.60, 245.53 ± 15.47, and 226.60 ± 9.67, respectively. This shows that all the patients selected for the treatment represented from the same baseline level. After 3 months postoperative, there was statistically significant difference between Group I and Group II with Group II showing better results (P < 0.01). The mean ± SD for Group I and II at 3 months postoperative was 283.27 ± 12.70 and 341.60 ± 7.84, respectively. However, at this period, Group III showed more improvement over both Group I and Group II (mean ± SD = 409.93 ± 13.76, P < 0.001). At 6 months postoperative, Group III scores were still better than those of Group II which itself was better than Group I. Mean ± SD for Group I and Group II was 338.13 ± 10.84 and 404.20 ± 16.56 (P < 0.01), respectively. Mean ± SD for Group III was 521.47 ± 11.19 (P < 0.001) [Table 3]. 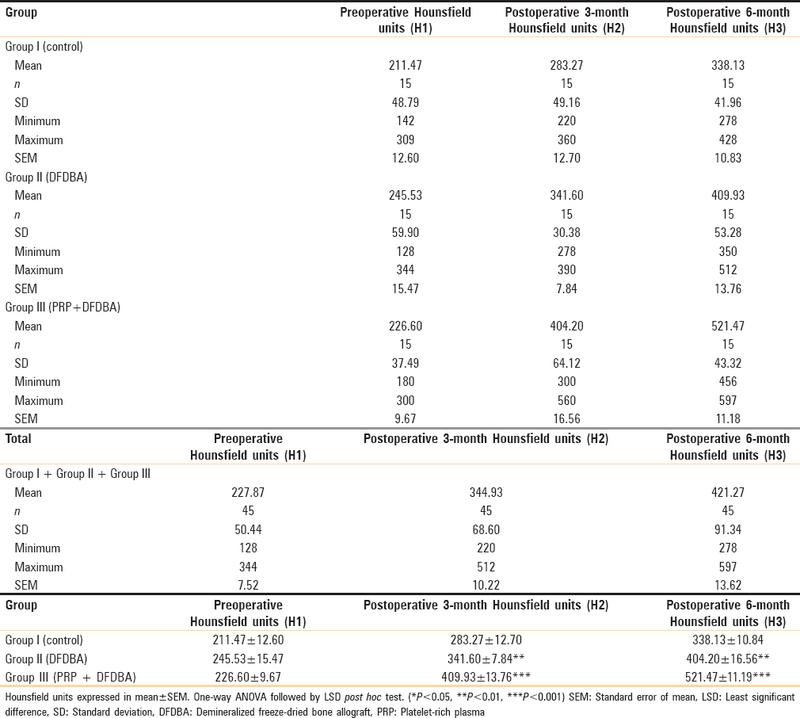 All these data suggest that PRP-enriched DFDBA is definitely a better alternative than DFDBA used alone in the treatment of intraosseous bony defects. Furthermore, the minimum HU for all the three groups preoperatively was 128 HU and the maximum was 344 HU. At 3-month postoperative period, the minimum reading for all was 220 HU and maximum was 512 HU. This had increased to 278 HU (minimum) and to 597 HU (maximum) at 6 months postoperatively. All these readings suggest that there has been a consistent increase in the readings of HUs from treatment period onward to the end of the study period, i.e., 6 months and subsequently. This also suggests that there has been a steady increase in the bone density after graft placement. 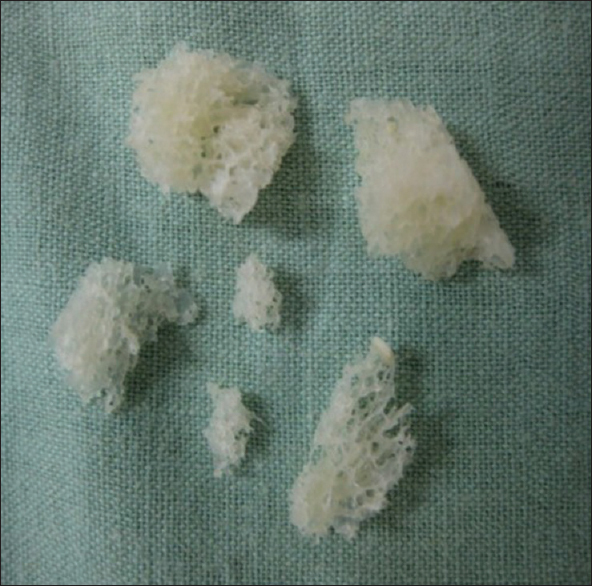 Our study has showed that PRP-enriched demineralized freeze-dried bone matrix is a superior grafting material when compared to freeze-dried bone matrix alone in the treatment of various defects of the maxillofacial region. Studies have showed that DFDBA with PRP combination is more effective than any other comparable methods when it comes to earlier bone regeneration and soft-tissue healing leading to a greater density of mature bone. This study has made us to reach a conclusion that platelet-rich plasma enriched demineralized freeze-dried bone allograft is a superior grafting material in terms of other grafting materials available. It possesses both osteoconductive and osteoinductive properties and elicits the least immunological response thereby making it one of the best effective combinations of grafting material to be used in oral & maxillofacial reconstructive purposes. Today with collaboration between biological, physical and engineering sciences along with advances in tissue engineering, it won't be difficult to construct substitutes that will regenerate and restore the complete functional state. These will involve extended families of growth factors, evolving biological scaffolds and use of mesenchymal stem cells. It would be possible to manufacture bone at ex-vivo bioreactors that can be directly used in the skeletal system in-vivo. Also, the rapidly developing gene therapy may utilize bone induction in humans. The programmed gene can be selectively transferred to the target cell at the bone induction site which will help in new bone formation. That will be a significant step taken in the history of bone grafting. Schaaf H, Lendeckel S, Howaldt HP, Streckbein P. Donor site morbidity after bone harvesting from the anterior iliac crest. Oral Surg Oral Med Oral Pathol Oral Radiol Endod 2010;109:52-8. Ray RD, Holloway JA. Bone implants; preliminary report of an experimental study. J Bone Joint Surg Am 1957;39-A: 1119-28. Tischler M. Platelet rich plasma. The use of autologous growth factors to enhance bone and soft tissue grafts. N Y State Dent J 2002;68:22-4. Seymour RA, Blair GS, Wyatt FA. Post-operative dental pain and analgesic efficacy. Part II. Analgesic usage and efficacy after dental surgery. Br J Oral Surg 1983;21:298-303. Luengo Gimeno F, Gatto S, Ferro J, Croxatto JO, Gallo JE. Preparation of platelet-rich plasma as a tissue adhesive for experimental transplantation in rabbits. Thromb J 2006;4:18. Gibson S, McLeod I, Wardlaw D, Urbaniak S. Allograft versus autograft in instrumented posterolateral lumbar spinal fusion: A randomized control trial. Spine (Phila Pa 1976) 2002;27:1599-603. Lord CF, Gebhardt MC, Tomford WW, Mankin HJ. Infection in bone allografts. Incidence, nature, and treatment. J Bone Joint Surg Am 1988;70:369-76. Tomford WW, Starkweather RJ, Goldman MH. A study of the clinical incidence of infection in the use of banked allograft bone. J Bone Joint Surg Am 1981;63:244-8. Fideler BM, Vangsness CT Jr., Moore T, Li Z, Rasheed S. Effects of gamma irradiation on the human immunodeficiency virus. 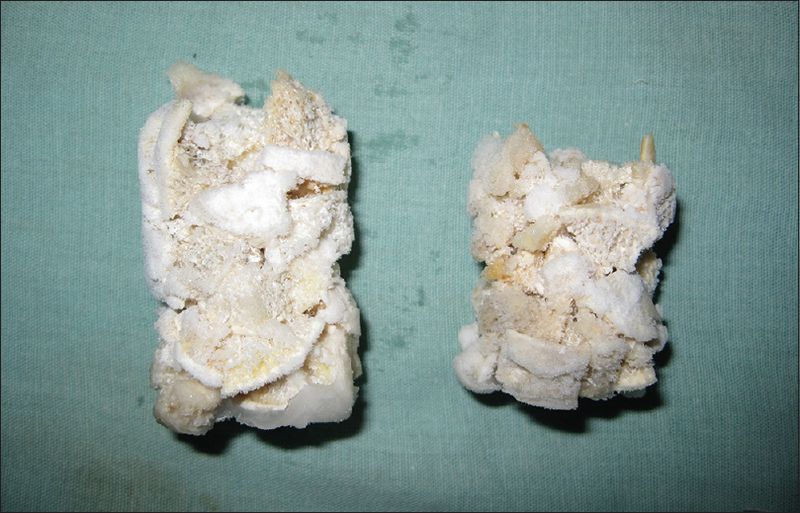 A study in frozen human bone-patellar ligament-bone grafts obtained from infected cadavera. J Bone Joint Surg Am 1994;76:1032-5. Conrad EU, Gretch DR, Obermeyer KR, Moogk MS, Sayers M, Wilson JJ, et al. Transmission of the hepatitis-C virus by tissue transplantation. J Bone Joint Surg Am 1995;77:214-24. Mellonig JT, Prewett AB, Moyer MP. HIV inactivation in a bone allograft. J Periodontol 1992;63:979-83. Guo MZ, Xia ZS, Lin LB. The mechanical and biological properties of demineralised cortical bone allografts in animals. J Bone Joint Surg Br 1991;73:791-4. Anderson MJ, Keyak JH, Skinner HB. Compressive mechanical properties of human cancellous bone after gamma irradiation. J Bone Joint Surg Am 1992;74:747-52. Tuli SM, Singh AD. The osteoninductive property of decalcified bone matrix. An experimental study,. J Bone Joint Surg Br 1978;60:116-23. Urist MR, Silverman BF, Büring K, Dubuc FL, Rosenberg JM. The bone induction principle. Clin Orthop Relat Res 1967;53:243-83. Georgescu CE, Mihai A, Didilescu AC, Moraru R, Nimigean V, Nimigean VR, et al. Cone beam computed tomography as a method of quantitative and qualitative analysis of alveolar crest in the frontal mandibular area. Rom J Morphol Embryol 2010;51:713-7.